The National Archives records that these cottage homes were also known as the St Christopher Avenue Cottage Homes. 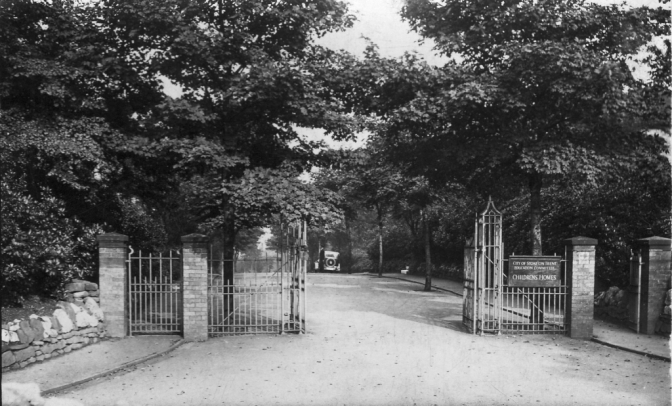 Penkhull Cottage Homes in Stoke on Trent were formally opened in 1901. There were initially 12 homes which accommodated around 12 children in each, however 10 further homes were added later. Opened in 1901, the homes remained in use as children's homes until the mid-1980s. The actor Neil Morrissey talked about his time in Penkhull homes (describing them as a street of children's homes) in the 1970s in a BBC programme aired in 2011. The cottage homes buildings still stand although they have now taken on different uses. Do you have any memories you would like to share of Penkhull Cottage Homes or the children's homes that followed them? We'd love to hear from you. "Until twelve months ago little or no research had been done or publication available on the history of the Penkhull Cottage Homes situated in Stoke-on-Trent. "Author Richard Talbot therefore decided to add two further chapters to his forthcoming publication The Royal Manor of Penkhull, a chapter about the workhouse but also the Cottage Homes, each containing nearly 22,000 words. "The study with regards to the cottage homes was hard, first finding a number of former residents many of which were in their 70’s and 80’s, interviewing all with the same set of questions to establish a methodology. Listening to many of the stories was heart-breaking, some children been orphaned, others un-wanted or deserted, many victims of the time. "Depending upon which ‘home’ or house-mother you were to live depended upon the treatment, some kind many simply cruel and vindictive lashing out punishments like Smarties at a children’s party. "The book commences with the established need for a children’s home, and its opening in 1904. From first the Poor Law then the local authority minute books coupled with personal reflections and press reports a unique, thought provoking and moving chapter has been achieved that captures the very heart of life in a Children’s Home. It is supported by numerous photographs many of which are taken during annual holidays to Blackpool and Southport, the latter being an old army camp and others on location in the homes or playing outside. "The book pulls no punches, and deals honestly and courageously with the issues, physical punishments, the strict daily life, Christmas time and birthdays, holidays camping, church attendance and often victimisation in local schools. Activities in the Muster Hall and VE Day celebrations and the visit not only annually of Father Christmas and the Lord Mayor but also of Sir Stanley Matthews. 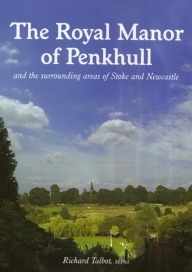 "This chapter is set within a book about Penkhull, its village, its schools and church and its people where many of the children would spend time or be familiar with the descriptions. "The Royal Manor of Penkhull is written by author Richard Talbot, M.Phil, F.R.Hist.S. and is the largest book ever published in the midlands at over 300,000 words, 496 photographs and comes is hard-back. Cost £25.00 plus £8.00 postage available from 88 Newcastle Lane, Penkhull, Stoke-on-Trent. ST4 5DR. Tel: 01782 847068." We are also grateful to Richard for letting us have the photograph at the top of this page.